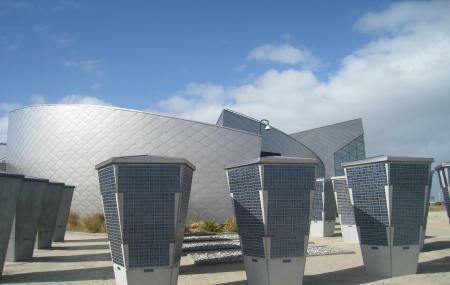 The Juno Beach Center is a museum located in Normandy, near Bayeux. It is Canada’s Second World War museum dedicated to the 45,000 Canadians who made the ultimate sacrifice at the time of the war. The museum offers relevant information and provides with insights about Canada's role in the Second World War. The center is a much recommended attraction to visit once in Bayeux, especially for people curious about history. Guided tours to Juno Beach Center are available in French and English. How popular is Juno Beach Center? People normally club together Eglise Saint-pierre and Gold Beach Museum while planning their visit to Juno Beach Center. Every single Canadian needs to go and check out the Juno Beach centre. The staff are so knowledgable and helpful. They are all students from Canada and you can see the pride they have in Canada as there guide you through the centre and around the grounds. You'll definitely walk away as a proud Canadian. Great guided tour of the bunkers by a very informative French-Canadian followed by a well presented museum. A lesser known area of the Allied D-Day invasion. Worth seeing. Excellent museum honoring Canadian forces that fought and died in Normandy. Staff are Canadian and are super friendly (they’re Canadian!). My son and I really enjoyed it. I met a nice Canadian on a short business visit to the area at the American Cemetery at Omaha. He mentioned he had limited time and I emphasized he visit here as all Canadians should! Very interesting and eye opening, never knew that the Germans used POW. to guard the occupied coastline and let them shoot at the allieds by threatening them with "if you don't shoot them we'll shoot you" All these young soldiers who gave their lives for our freedom. We took the guided tour, do so, you'll see it's worth it.